The BAR345 is a Black Acrylic Square U Riser Set of 3. 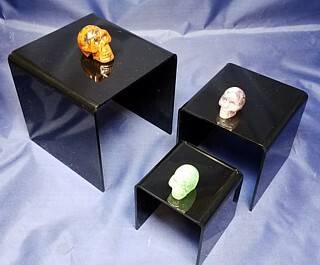 Our Acrylic Risers Can Be Used to as a Pedestal to Hold Products, or Other Small Items For Display. 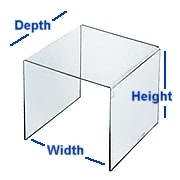 Hand Manufactured from Sturdy Acrylic Black Material, This Plexi Riser is Durable and is Built to Last. This 3 Riser Set Allows For Versatility in Setting Up Your Display with Varying Sizes for Different Items.